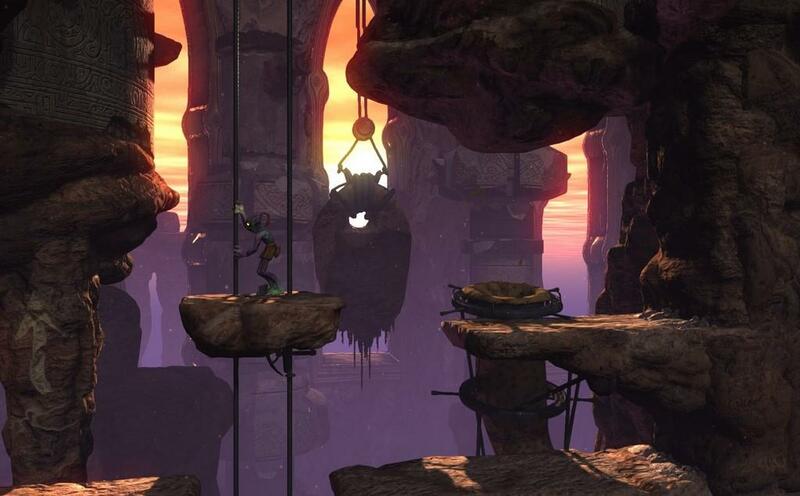 More On: Oddworld: Abe's Oddysee - New 'n' Tasty! Think you have a horrible boss? Then you haven't listened to Abe tell his story about working at RuptureFarms, the biggest meat-processing plant on all of Oddworld. First they enslave the helpless Mudokon people, and then they introduce a brand new product with a special ingredient that doesn't sit well with this lowly prisoner. Unable to sit by and see his friends and family suffer, Abe takes matters into his hands and sets off on what can only be described as a truly epic adventure. This is the set-up to Oddworld: Abe's Oddysee - New 'n' Tasty!, a brand new reimagining of the franchise's 32-bit debut chapter. Instead of creating what amounts to a shot-for-shot remake of Abe's Oddysee, Just Add Water has created an even more captivating world by tinkering with the puzzles, level designs and, of course, the visuals. Abe has never looked or sounded better, and Oddworld comes to life thanks to the developer's impeccable eye for details. After finally escaping his captors at RuptureFarms, Abe learns that his adventure is only getting started. He'll need to travel cross country to conquer two different temples, each with their own unique sets of puzzles and alien creatures. If Abe can prove himself, he'll be given a chance to go back to his former employer and save his enslaved friends. And that's not all. If he can save enough of his fellow Mudokons, Abe will be able to finally take revenge on that horrible boss. This sounds simple enough, but you'll quickly realize that the journey is a lot more elaborate than you're initially led to believe. But don't worry; Abe has a few tricks up his sleeve. While he isn't much of a fighter and forgot to bring a gun on the trip, that doesn't mean Abe is completely defenseless. For one thing, he's able to telepathically control Sligs, a species of gun-toting alien guards. This allows our hero to finally go on a murderous rampage, shooting every alien standing between him and those temples. Beyond telepathy, Abe is able to talk to fellow Mudokons, allowing our hero to guide the hundreds of prisoners to safety. He also has a bipedal creature to ride, a friendly companion named Elum. Not only is your little buddy emotionally expressive, but he's good at running and jumping over large gaps. With these powers and friends cheering him on back at home, nothing can stand in Abe's way. Did I say nothing can stand in the way? What I meant to say was that all kinds of perilous hazards, enemies and puzzles stand in his way. This is not an easy adventure, and it will take you more than a single sitting to conquer both temples, save your friends and exact revenge on the terrible people who run RuptureFarms. 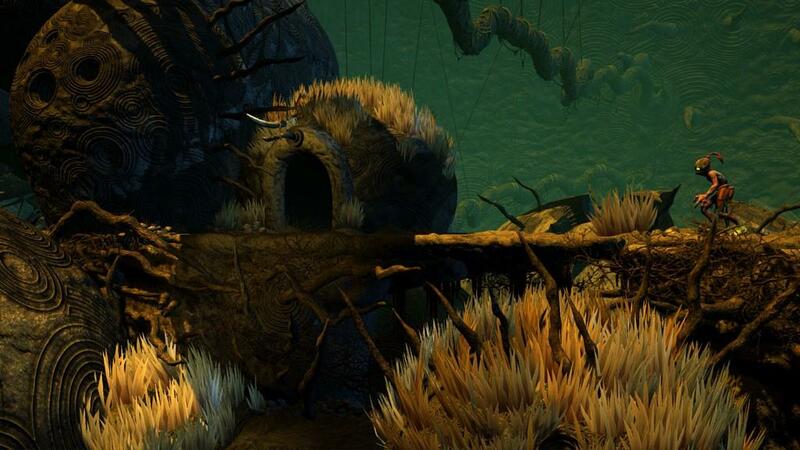 Abe's Oddysee is not only long, but also incredibly challenging. The puzzles themselves aren't too bad, but you'll want to rip out your hair when dealing with some of the platforming obstacles and disarming landmines. Although it's not immediately obvious when you look at the game, but the original 32-bit Oddworld was very much in line with games like Flashback: The Quest for Identity and Out of This World (aka Another World). For those who didn't grow up in the 16-bit era, these were deliberately paced 2D adventure games with realistic animation and very particular play mechanics. Instead of turning on a dime like Super Mario, Abe goes through several frames of animation. Because the game prioritizes the animation over gameplay, it can sometimes lead to some unfortunate deaths. You'll miss jumps, accidentally rush into enemies and get blown into a million tiny pieces, all because the control isn't always as precise as you would like. 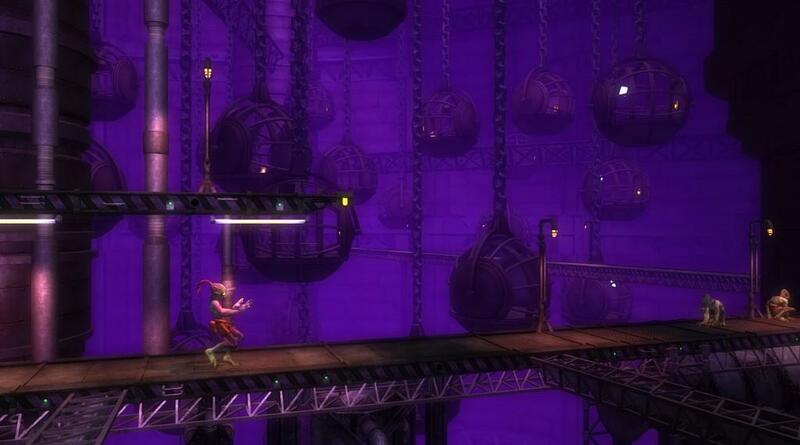 If you can get past a few cheap and frustrating deaths, you'll likely fall in love with Oddworld's many locations. The developers have done an excellent job making every area look unique, and the textures really shine on the PlayStation 4. Abe's Oddysee now employs detailed polygonal graphics, allowing for a much more cinematic look. Plus, the game is running at 1080p and 60 frames per second. Best of all, the artists have gone back to reimagine some of the most memorable characters and locations, even changing the stages and puzzles to better suit their needs. While the updated visuals will likely catch your eye, Just Add Water has made a few improvements that are even more important. The big change involves the way the screen scrolls as Abe walks. In the original 1997 release, our schlubby hero saw Oddworld one screen at a time. Once he got to the edge, the screen would flip and he would enter a new location. That has been tossed out in favor of scrolling levels, which opens up the world in important ways. It also changes the way the game is played, which is a real treat for anybody who couldn't get enough of the 32-bit installment. Despite the gameplay seeing some worthwhile improvements, it can still be a real stumbling block. I'm also not a huge fan of the steep asking price, though the game's lengthy run time makes it a little easier to swallow. It's not perfect, but I hope that this Abe's Oddysee remake paves the way for the first brand new installment since 2005. As far as Oddworld games go, this is one of the best. It features an immediately likeable character, beautiful areas to explore, creative puzzles to solve and just the right amount of farting. It's also funny, which is rare for a video game. It doesn't matter if you're new to the series or somebody who went through the 32-bit version a dozen times, there's something for you to enjoy in Oddworld: Abe's Oddysee - New 'n' Tasty! on PlayStation 4. 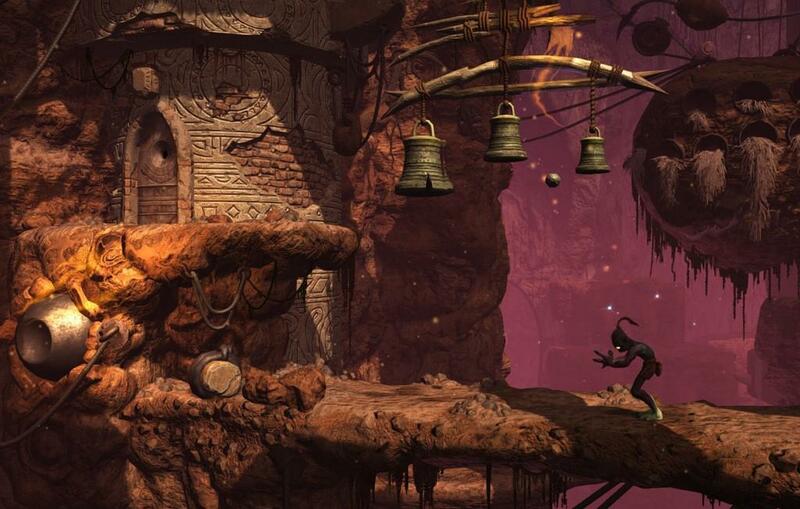 With a likeable character, great puzzles and an intriguing world to explore, Oddworld: Abe's Oddysee - New 'n' Tasty! may be the most compelling adventure game currently available on PlayStation 4. Unfortunately, some gamers will be turned off by the game's deliberate play mechanics and the steep asking price. If you can get past these problems, you'll be rewarded with a quest that is as funny as it is long.